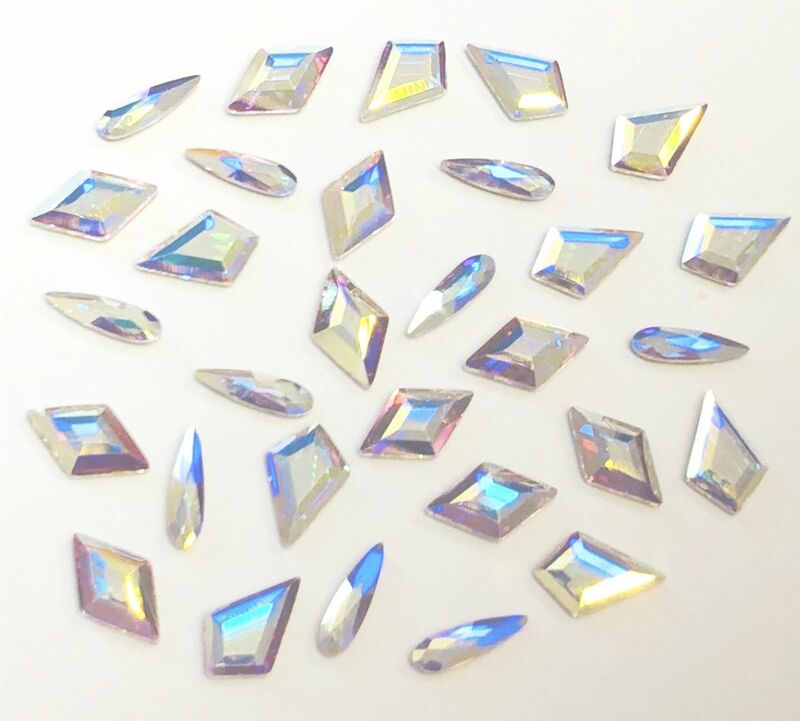 Mixed Pack of 30pc Swarovski Flatback Shapes Diamond Kite Raindrop Non-Hotfix Crystal AB. 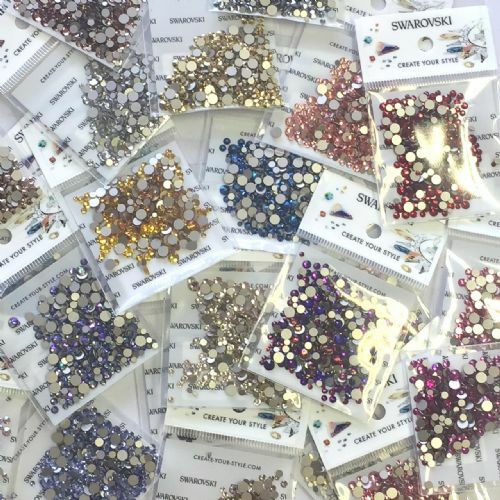 Mixed Pack of 30pc Swarovski Flatback Shapes (Diamond/Kite/Raindrop), Non-Hotfix, Crystal AB. This mix of Swarovski crystals are perfect for Nail Technicians who like working with shapes but prefer a smaller size. These 3 shapes are all approx 6mm in length. (Aurora Boreale; a special coating that is applied to the surface of a glass stone or bead to produce a very light rainbow effect that leans toward a pale yellow tone, but also shimmers in pink and blue). 10 x style 2773 Diamonds, 6.6x3.9mm.